How to go to Antalya? What to buy in Antalya? Antalya is a town situated on the south coast of Turkey - it lies at the innermost point of the Gulf of Antalya. The town itself is built on a limestone terrace which drops sharply in a 75ft cliff below which is situated the old harbour. A major tourist attraction of Antalya is the beach of Konyaati which lies between the town and a high ridge of hills to the west. 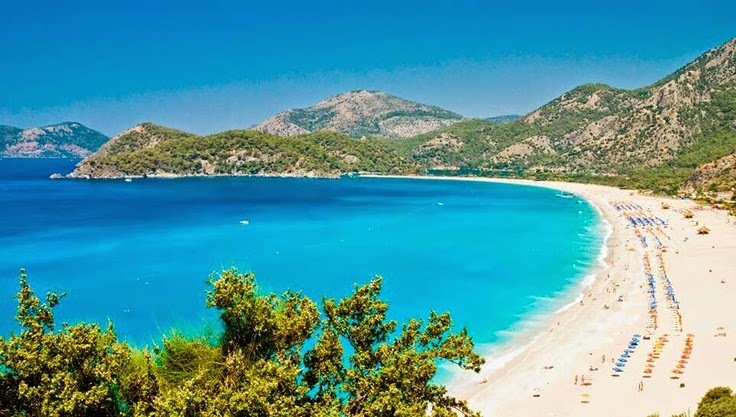 Adding to the attraction of this wide sweeping beach is the climate of this area - Antalya enjoys sub-tropical weather and the bathing season lasts from early April until the end of October. The town of Antalya has seen its fair share of historic events and has had its name changed on various occasions to suit whoever ruled at the time. Those who have been fortunate enough to have Antalya under their rule in the past have included the Greeks in the 7th century, Alexander the Great in 3348B.C and at one time it was part of the Ottoman Empire. Hadrian's Gate (pictured below) was erected in A.D. 130 in honour of a visit by the Emperor Hadrian - it is certainly an imposing structure built from marble with two massive towers flanking a three arched opening. This is just one of the many beautiful sights to experience in this area of Turkey.